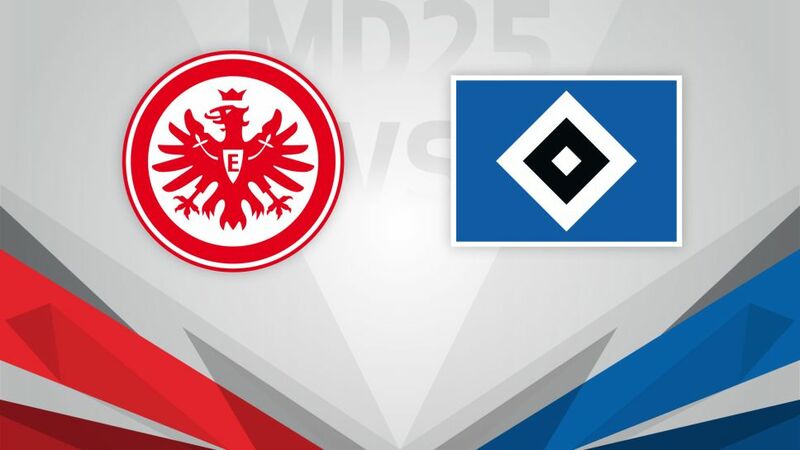 Two sides whose fortunes have reversed will meet when Eintracht Frankfurt host third bottom Hamburger SV on Saturday (kick-off 18:30CET/17:30GMT). Click here to make sure your Official Fantasy Bundesliga team is in order for Matchday 25! Eintracht’s season has unravelled in recent weeks, with two DFB Cup victories the only bright spots since their last Bundesliga win against bottom club SV Darmstadt 98 on February 5. Despite showing relegation form in the Rückrunde, the Eagles are still sixth in the standings and a seventh home win this term would keep them in the European places with nine games to go. Hamburg recovered from an 8-0 thrashing at the hands of Bayern Munich by beating Hertha Berlin and Borussia Mönchengladbach – with US international Bobby Wood completing the comeback in last week’s 2-1 win over the Foals. Four wins in six matches have given Markus Gisdol’s side real hope of avoiding relegation and a third away win of the campaign could well be enough to lift them out of the relegation play-off place.